When you hire Mirek's Floors, you get a team of hardwood flooring specialists who work under the strict guidelines of the owner. This ensures you the best quality of work performed and work you can be proud of. Let us help make a difference in your home or business. 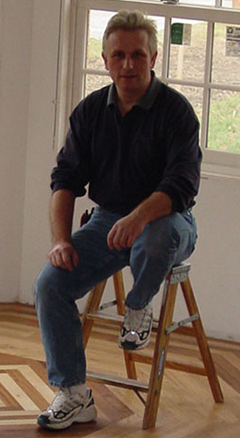 Mirek's Floors can assist you in all or any of the phases of producing a beautiful wood floor from start to finish. Mirek's Floors provide a top quality hardwood flooring service at unbeatable prices. Our expertise includes new installations of solid wood, pre-finished and laminated flooring, refinishing floors, screening and re-coating of wood floors that haven’t been waxed, making repairs. Mirek's Floors are specialists in the installation of hardwood and ceramic title floors, our client base now includes many hundreds of satisfied customers delighted with our values of quality craftsmanship and good old honest value. The timeless beauty a Hardwood Floor will always be in fashion. Once you have chosen a hardwood floor it is there for life. After years of hard wear they are easily restored to perfection.